Whether it’s your engagement, honeymoon, anniversary or if you just want a romantic getaway, Imagine can help you make your dreams come true. 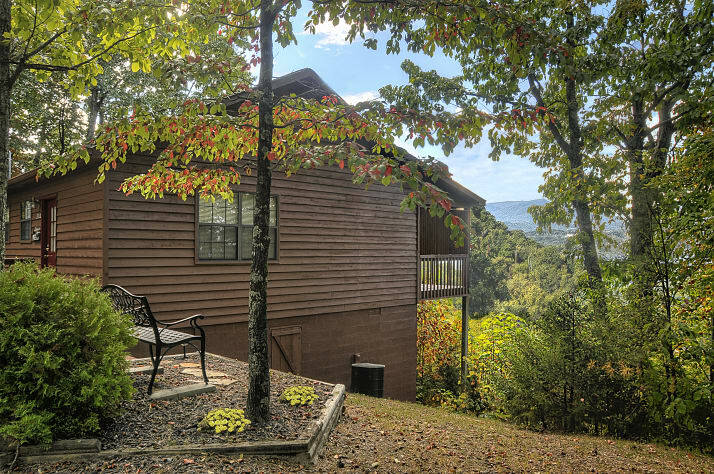 Only minutes from Dollywood, Pigeon Forge, golf, and the Great Smokey Mountain National State Park, this cabin is a perfect getaway. Looking for a view? 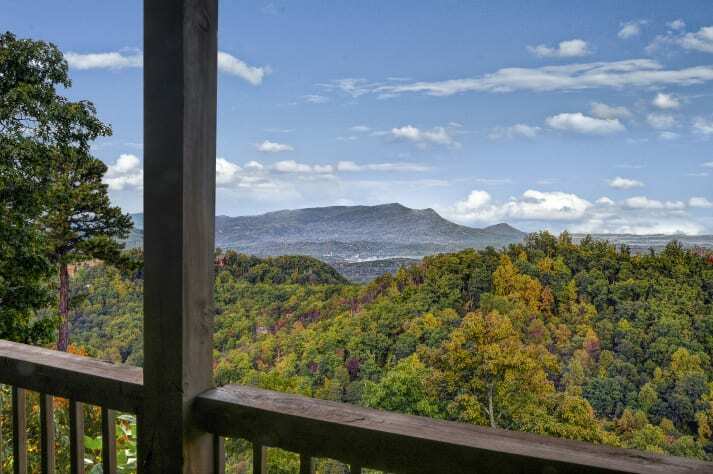 Look no farther, the view from our private deck is, in our opinion, nothing short of spectacular! 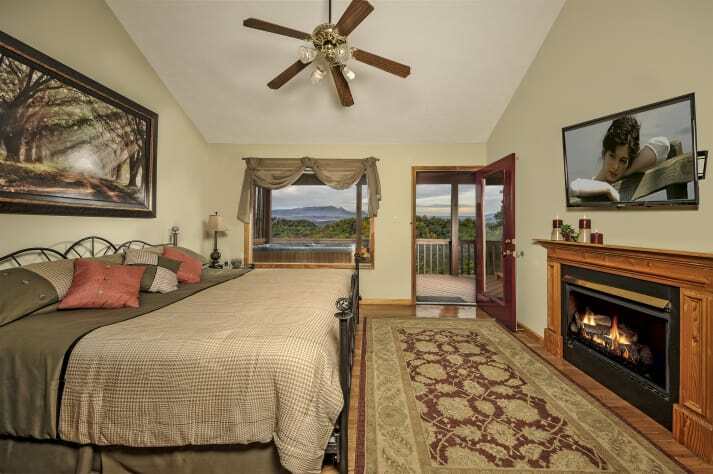 Imagine yourself snuggling in front of the gas fireplace, or soaking in the hot tub overlooking the fantastic view or soak in the two person Jacuzzi tub. 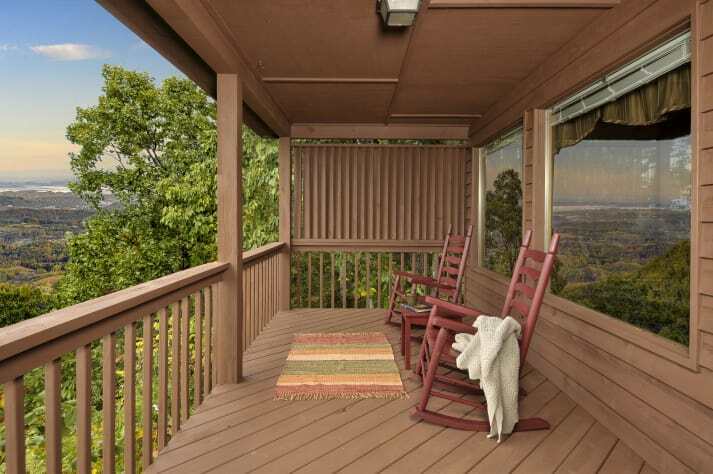 Wake up in the king size bed; drink your coffee on the deck in the peace and tranquility of the mountains. Imagine… you will have everything you need to relax and enjoy. 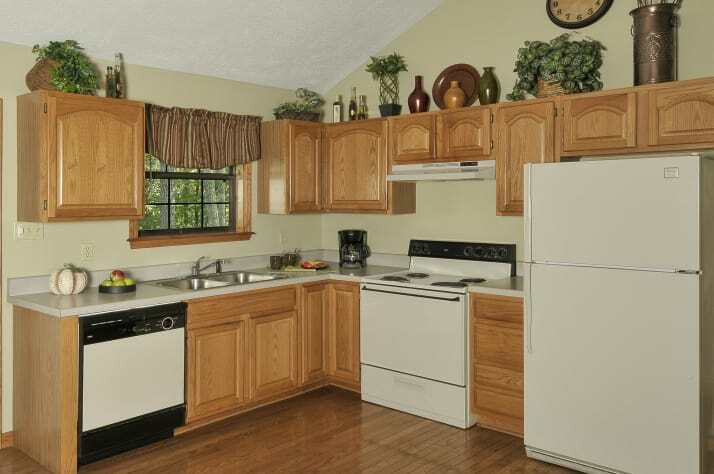 There is a fully stocked Kitchen with a dishwasher, microwave, two large flat screen TV’s, free WiFi and more! There is even a fold out sofa bed for the kids or guests…… If you choose to bring them......Did I mention the awesome view? My fiance and I greatly enjoyed our stay at this cabin. The view was amazing and the cabin was very homey. It truly was a home away from home. You are also very close to many attractions. 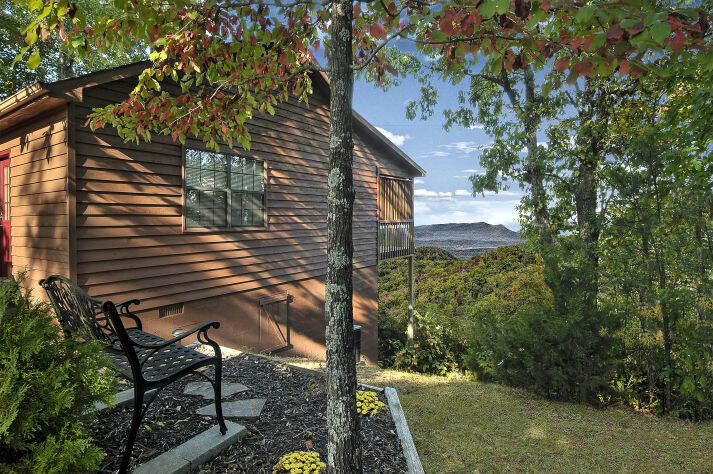 I would recommend this cabin to anyone looking for a quiet and relaxing getaway! The owner was also very responsive and there to help. We loved this little cabin along the mountains! From the fireplace, to the hot tub with an epic view it couldn’t have been a more perfect place for us! 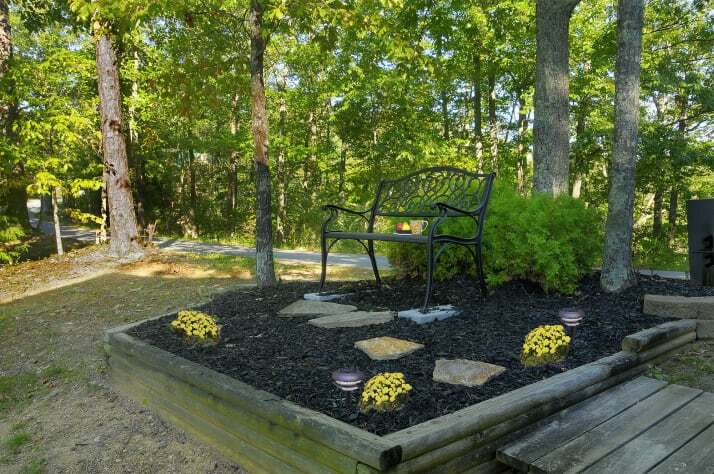 Perfect location away from the tourist attractions but a few miles away if you want it. Also we loved Smokey mountain national park! Everything was 10/10!! Thanks again!!! This was truly an outstanding getaway experience. Imagine is a beautifully appointed cabin with every convenience included, and the spectacular view is one of the most memorable features of this experience. 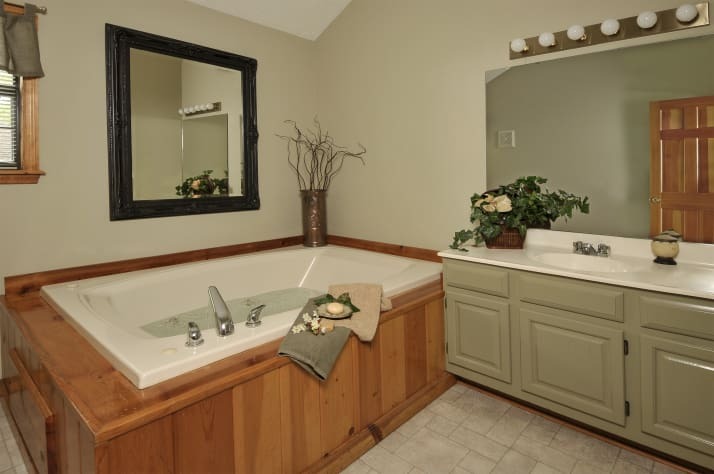 The cabin was spotlessly clean, and the features...from the two-sided fireplace to the hot tub to the oversized Jacuzzi tub to the thorough kitchen set-up.... made for a truly relaxing, comfortable and memorable visit. Thank you Walt! Imagine cabin is perfect! The views in the photos are exactly what you see! The colors of fall were amazing and really showed at sunsets. The cabin has about anything you would need for your stay. Walt was more than helpful with questions about the cabin and even not about the cabin. I recommend for anyone and will stay here again if we come back this direction. Thanks!! I am so glad you chose Imagine for your honeymoon and we are so glad to play a small part of starting your life together. I enjoy it when we our guests ask for advice about the area because we love doing all the things our guests do. Restaurants, attractions and shopping (well, my wife likes the shopping). Hopefully our cabin becomes part of your anniversary plans for many years to come. Relaxing, Clean and Comfortable! Feels like you're 100 miles from civilization but you're not! The cabin was very nice, comfortable and clean. BEAUTIFUL view. The sunsets are pretty. There are other cabins close by, but you truly feel like you are the only person on the mountain. Very quiet. My GPS was confused!! BUT Walt's directions were perfect and got us to the cabin with no problems. 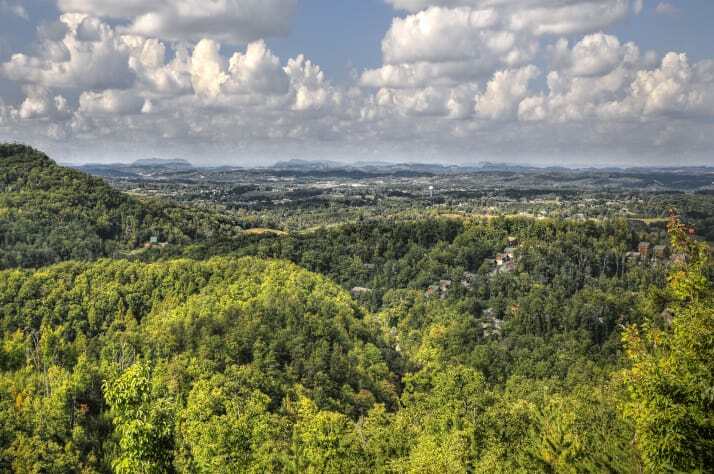 The cabin is just a short drive from Sevierville and Pigeon Forge, which are congested and busy. 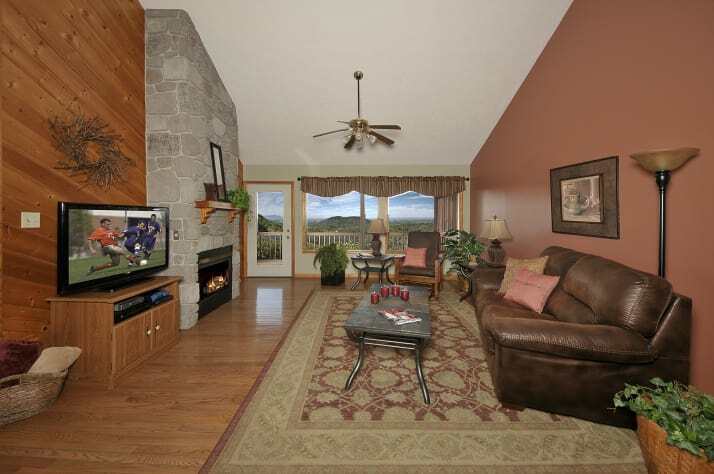 Once you arrive at the cabin its hard to believe the hustle and bustle are only minutes away! I would definitely recommend this cabin to others. This was the perfect cabin for our honeymoon! There wasn't one single thing I would change. The cabin was so clean, the owner was great to work with, even though there are other cabins you truly feel secluded, the views were absolutely amazing!!! There were plenty of towels provided for the week. The kitchen is just as they say - fully stocked! We were able to see a bear right below the back deck before we left! 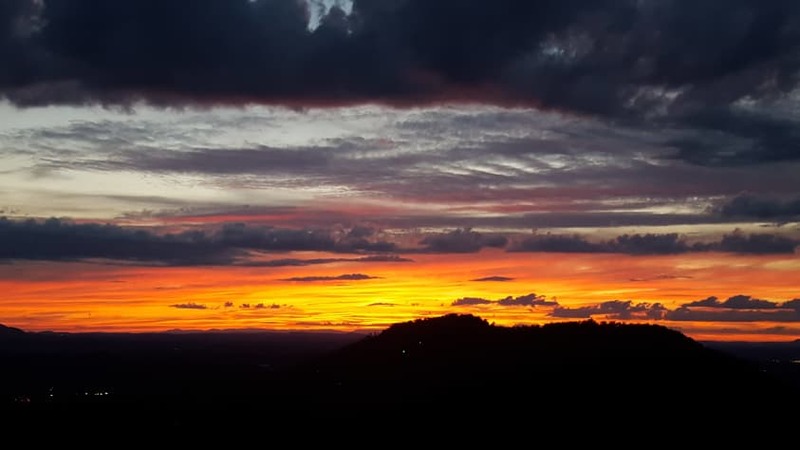 You are on the top of the mountain with amazing sunsets and complete tranquility, yet town is a short distance away for any necessities or shopping. I didn't want to leave! Rachelle We are honored you chose our cabin for your honeymoon and we wish you many happy years together. We are so happy we could provide you with the perfect place to spend you first few days as husband and wife. good luck in the future and we hope to see you again soon! We had an amazing trip this past weekend. The view off the porch was amazing. Got to see the sunset once and all I can say is WOW! Beautiful colors. The cabin had everything we needed for a relaxing get away. The owner is very easy to work with. I would definitely recommend this cabin for a romantic get away. It gives us great joy to hear about our guests enjoying our cabin as much as we do. 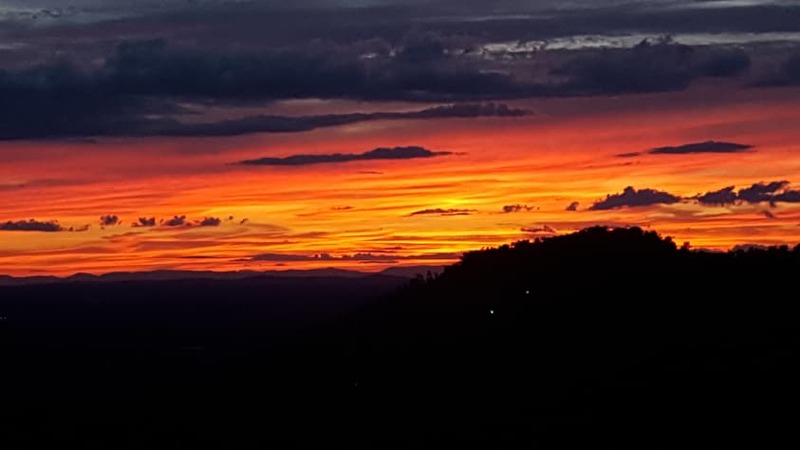 Thank you so much for sending me the sunset pictures, they came out great! You need to come back another time, there is so much to do in the area, time goes by too fast. We look forward to seeing you again! There was not one thing that we did not like at this Imagine cabin! The view is fantastic. I got some wonderful sunset photos. The cabin is cleaner than my own house, and I am fussy! The kitchen was well equipped. Lots of towels--enough for our 7 night stay. All soaps provided. Very peaceful and quiet with neighboring cabins a good distance away. 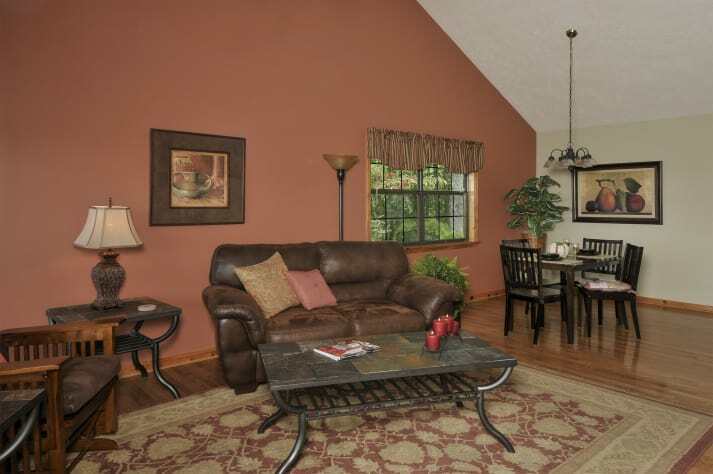 Location was convenient to everything--just a drive down the mountain, and you have everything! We would definitely come back again! Thank you so much for choosing "Imagine" for you vacation destination. 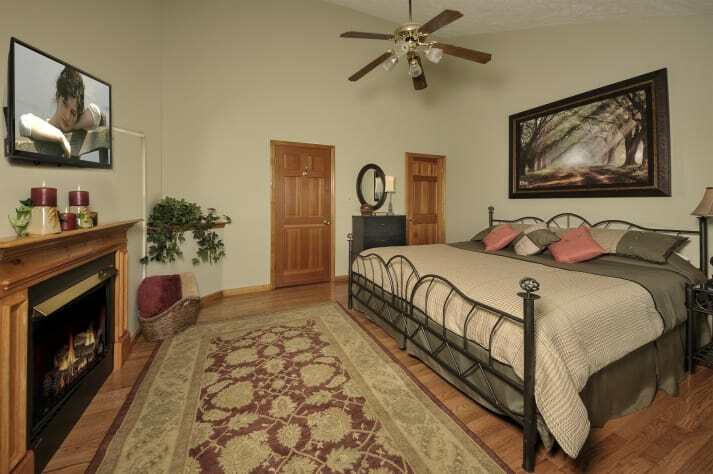 Our staff works very hard to insure our guest have everything they need and the cabin is ready for your arrival. I am glad you mentioned the sunsets because that is something I look forward to each night I visit the cabin myself. It is a great way to end a day in the Smoky mountains!! We look forward to having you back!! Even better then we "Imagined"
Imagine the View. I do everyday at least ten times a day and you will to if you stay in this fantastic hideaway. 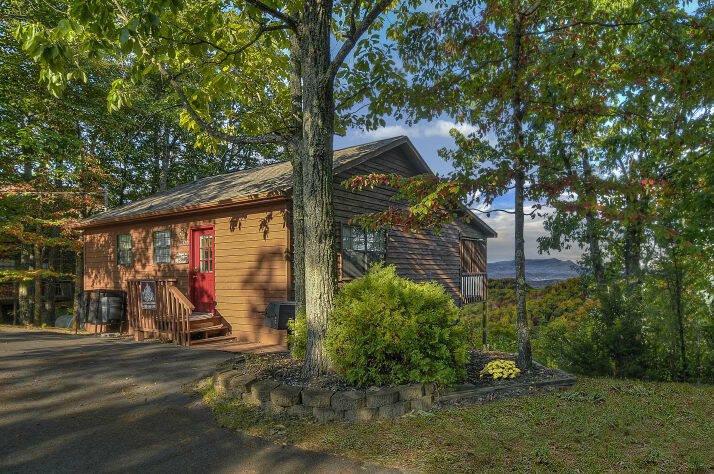 This charming cabin is perfect for a romantic getaway or for a small family getaway. It's not as large as some, but has all the amenities of its bigger siblings. 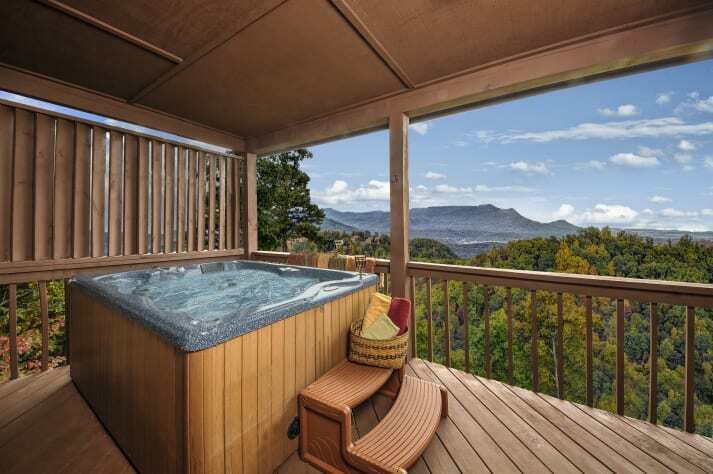 From a full kitchen to amazing bathroom (you have to experience the tub) to the hot tub on the private deck (hidden away from prying eyes) that affords you the luxury of an amazing view while you soak your cares away! 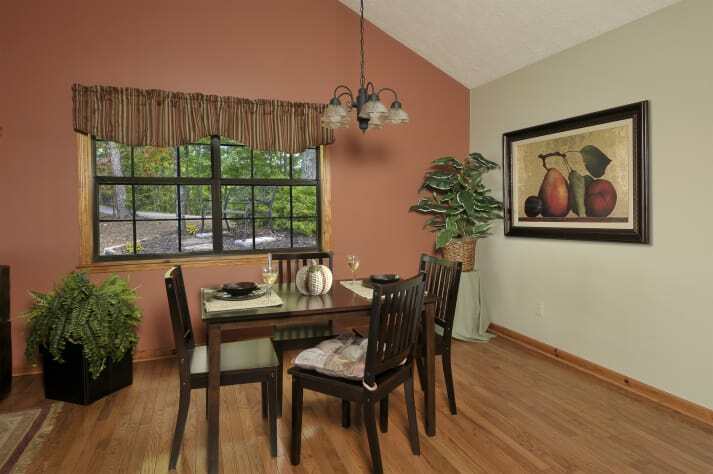 Impeccably clean and decorated with style, it was everything I had hoped it to be. The fact that this cabin is not in an overly crowded area is another plus. Neighbors are near but not in an intrusive way. The owners are fantastic people who put your needs first and take joy in providing you with everything to make your stay a memorable one. Thank you for a wonderful stay!! We will be back. 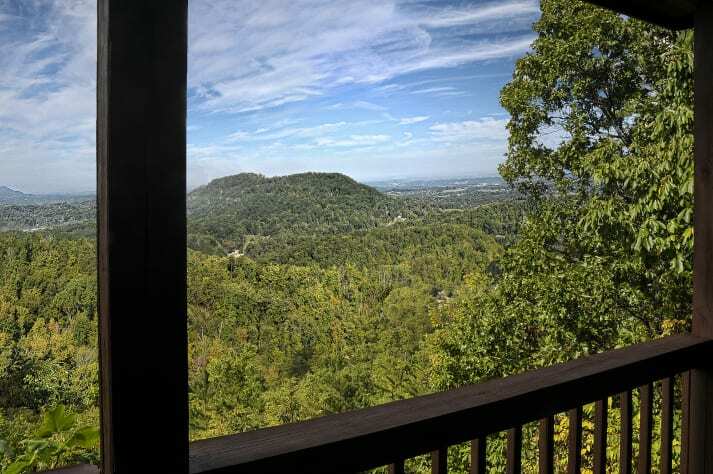 We were blown away by the amazing view from the balcony of this cabin! Far exceeded our expectations. Upon arrival we were greeted with a very clean and welcoming atmosphere in the cabin. 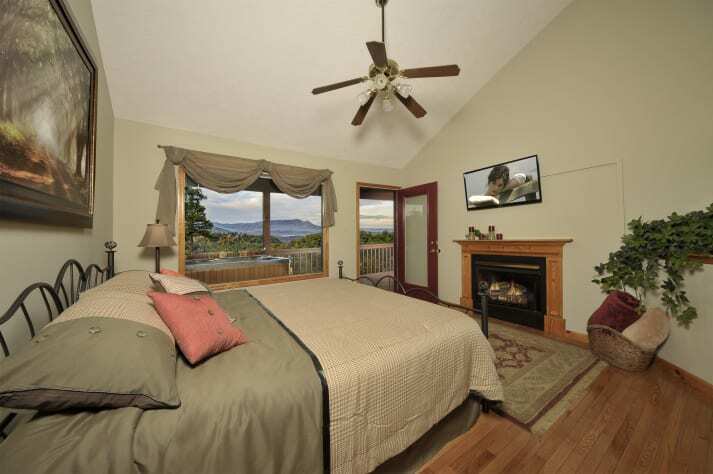 From the sweet dining area, beautiful 2 way gas fireplace, king size bed and large bathroom, we were met with comfort all around. 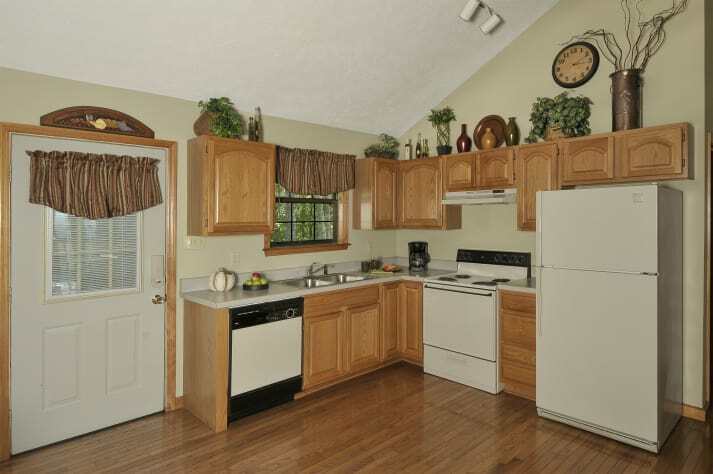 The kitchen is fully stocked with all the amenities and appliances you would need. The leather sofa is incredibly comfortable. 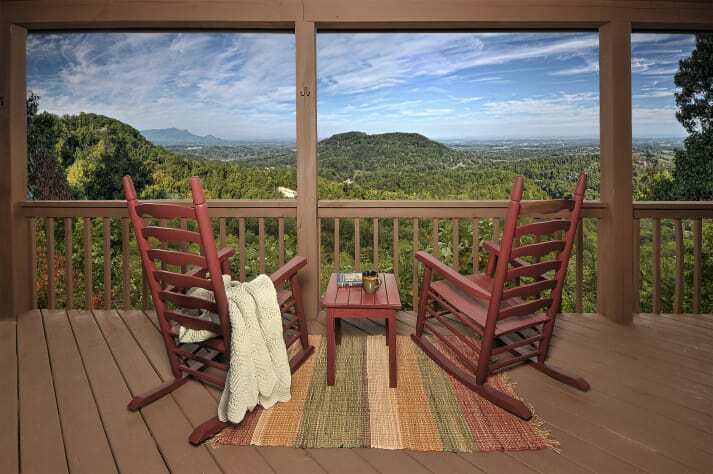 We spent a couple of evenings on the balcony in the rocking chairs watching the sunset. We decided that the cabin's balcony faces North, but still provided gorgeous sunsets. The hot tub on the balcony was wonderful as well. The cabins location is ideal. 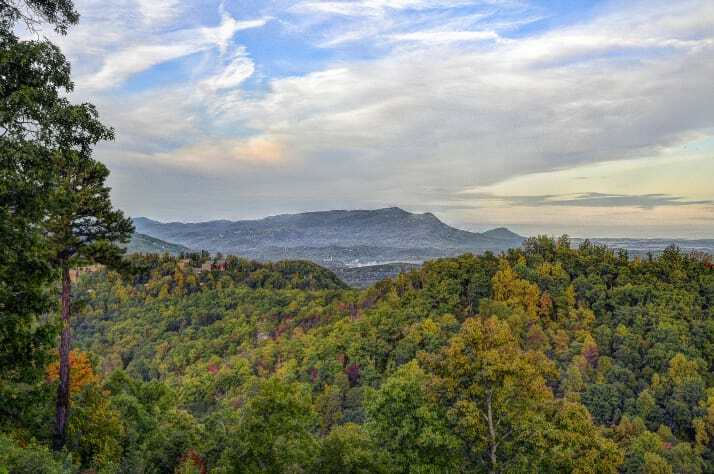 Minutes away from 'The Island' & Dolly wood and about 20-25 minutes from Gatlinburg strip. 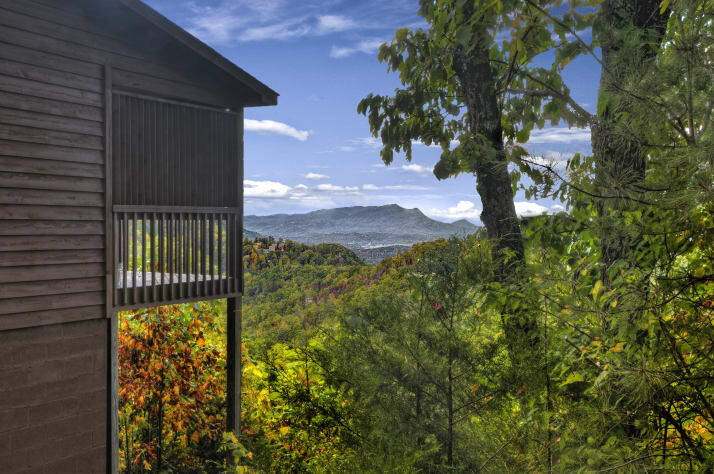 We highly recommend this cabin if you are looking for a place that is comfortable with an AWESOME view. Doesn't get much better than Imagine! I am so glad you enjoyed your time at Imagine. I agree with you on the view, the first time I walked into the cabin I fell in love with it because of that view. Lindsay does a great job cleaning the cabin and preparing it for the next guest. I hope you find time to visit us again!